Got property? Got questions or problems? One of Divorce Helpline’s expert attorneys will stand by you and act as your coach, guide and assistant. …DealMaker will be far more effective when combined with some initial legal analysis and advice, and a final review just before you sign. Even if you get advice before and/or a review after you make your agreement, you are still way ahead in greater understanding and confidence, and getting advice and a review will cost much less than having an attorney draft your agreement from scratch. Read more about Divorce Helpline below the DealMaker package offers. 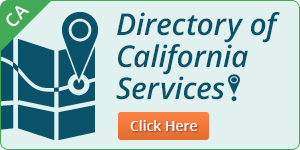 Serves all of California by phone, fax and email or in person in Encino, San Jose and Santa Cruz. Biggest Bargain! You get DealMaker software plus two consultations with a Divorce Helpline attorney: One pre-agreement consultation of up to 30 minutes and one review of your agreement after it is completed but before you sign it, with consultation of up to 30 minutes. The two consultations can’t be combined. Invaluable! Download and register DealMaker. Then call Divorce Helpline for an appointment and a Divorce Helpline attorney will review your DealMaker agreement with you after it is completed but before you sign it. Nolo’s DealMaker users get a discount on their initial agreement review consultation: 25% off Divorce Helpline’s usual fee of $330/hour. You only pay for the amount of time you need for the review of your agreement at this special price. Divorce Helpline was created by Ed Sherman in 1989 with partners Anne Lober and Peggy Williams. Their goal was to drastically change the way attorneys practice in divorce cases, to give great and effective service, and to provide expert support for people who are doing their own. Divorce Helpline attorneys work as your guide and assistant, helping you to understand, plan, develop options, solve problems, talk to your spouse, and negotiate or mediate to reach a fair settlement in the least painful and least costly way possible. Available for telephone consultation throughout California or in person in Encino, Santa Cruz, or San Jose. Divorce Helpline’s unique methods are highly successful and cost-effective.